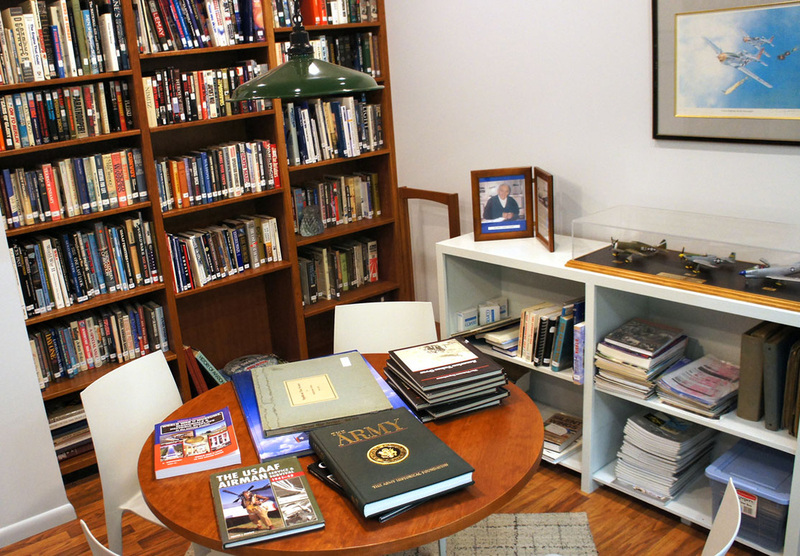 The museum library has over 1,000 books, most on aviation and military history. The books may be reviewed while visiting the library or they may be checked out for a two-week period. The museum library also has a collection of 220 videos (DVD/VCR) tapes, mostly about historical aircraft. They can be viewed on a DVD/VCR player in the library. To discover what books are available in the library, see the document below. To enlarge, click the button in the bottom right corner, next to the magnifying glasses. 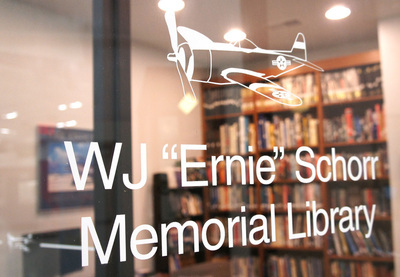 The plaque on the Ernie Schorr Memorial Library entrance door. 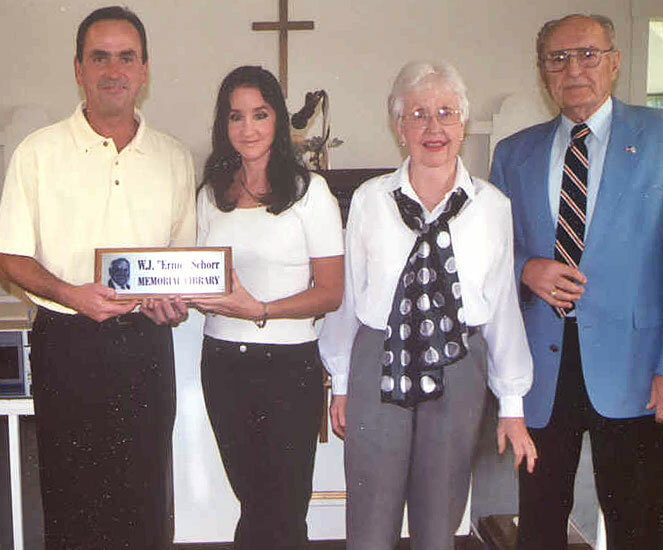 Ernie's children, Chris and Todd, placing the plaque in position. Todd, Chris, and Jody Schorr with Major General John Hoff, USAF (Ret.) at the dedication program. The Ernie Schorr Memorial Library was dedicated Saturday, September 28, 2002 at the Jeanne Lewellen Norbeck Memorial Chapel. 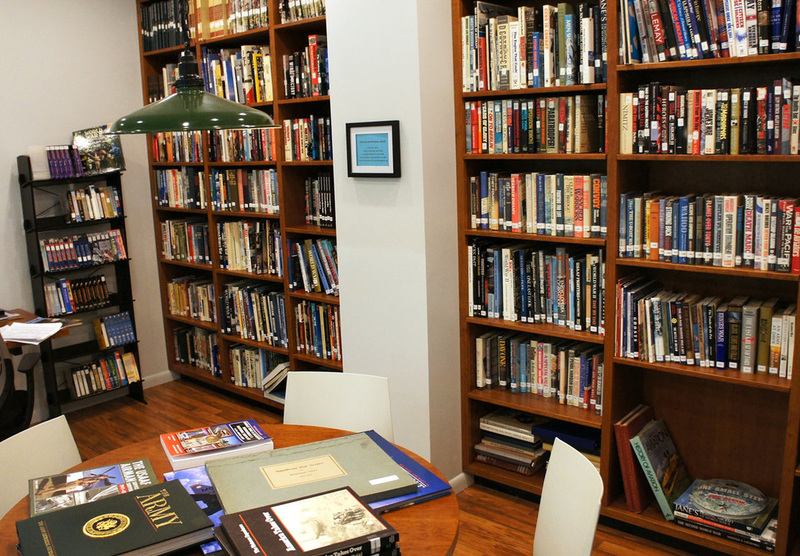 The library is accepting donations of publications related to the World Wars, Korean War, Vietnam War, Military Historical Publications, Military Biographies, Aircraft, Air Bases, Military Manuals and any books that would be of interest to researchers and historians.